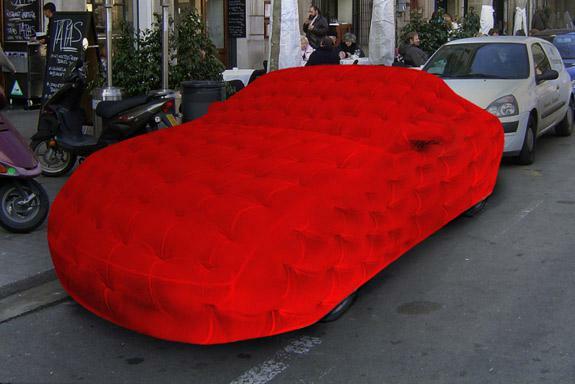 Auto-mobile is a car cover which converts a parked car into upholstered furniture, inviting to relax and interact. It is a proposal for an “intervention on a urban parking area” for the Public Design Festival ’09, during the furniture fair in Milan. In Italian “car” is translated as “automobile”, abbreviated as “auto” and “furniture” as “mobile”. 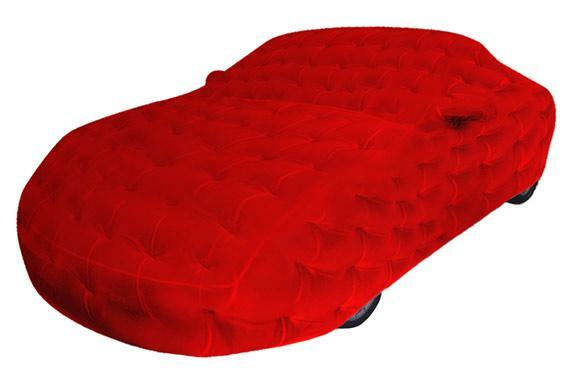 The auto-mobile-car cover is upholstered as a sofa, very comfortable, but waterproof and very resistant in order to stand frequent outdoor-use. Any disused car, while parked, old or abandoned, can be used as a support. The auto-mobile-car cover is upholstered like a sofa, very comfortable, but waterproof and very resistant in order to stand frequent outdoor-use. Any disused car, while parked, old or abandoned, can be used as a support.